Both familial and professional, a pastor’s relationship with the church is complex. Negotiating the various expectations that individuals place on pastors can be tough, especially when they seem arbitrary or mutually exclusive. Attempts to reconcile these expectations into a professional identity can be difficult. When scriptural advice is given to pastors, it’s often at such a high level that it’s hard to work it out in practical, everyday ways. For instance, if a pastor is told that churches want ministers who “love God and love others,” that may be true—but each church member would expect to see these ideals work themselves out differently. Similar to missing the forest for the trees, it’s easy to get caught in the confusing maze of individual expectations. Once you realize that these respective desires coalesce into one unique set of corporate expectations, it becomes a lot easier. The targets set by the community are a lot broader and easier to hit—and cause a lot less anxiety. The key to creating an anxiety-free pastoral identity lies in one’s ability to hit these collective targets without getting lost in the weeds of individual expectations. When discussions about pastoral job descriptions come up, it’s easy for pastors to feel defensive. The expectations placed on clergy can seem inconsistent and impossible to achieve for anyone who isn’t Jesus. This is another reason it’s important to focus on your community’s common expectations. The topography of community desires tend to level out the jagged peaks that make up everyone’s individual desires. Obviously, a pastor’s job depends on having some targets to hit. It’s a matter of isolating the ones that are the most feasible. I’ve compiled 10 qualities typically expected of pastors in communities of faith. Please note that I’ve not included things like “loves God.” I think we should assume that loving God is a given. More than an encyclopedic understanding of the Bible, communities of faith want to be led by someone with biblical wisdom. This is different than having an appropriate verse for every situation or struggle. It’s about internalizing Scripture in a way that allows a minister to naturally exude wisdom that’s anchored in their biblical understanding. The difference can be seen in how a minister approaches challenges, counseling opportunities, and disagreements. Instead of applying scripture to situations and demanding submission to biblical authority, they’re able to communicate the biblical wisdom in a way that makes sense in the lives of the faithful. This might be one of the most important (and often ignored) congregational desires. A lot of pastoral training is focused on amassing the tools necessary to be informed and engaging speakers. Developing the ability to listen to others, hear the heart’s cry behind their words, and discover their needs doesn’t get enough attention. Sometimes people approach clergy because they’re looking for a safe place to share their struggles and failures. Learning how to draw out a person’s story and discern when (and if) advice is needed or appropriate is invaluable. Don’t worry, even the most extroverted or Type-A individual can learn to be a better listener. 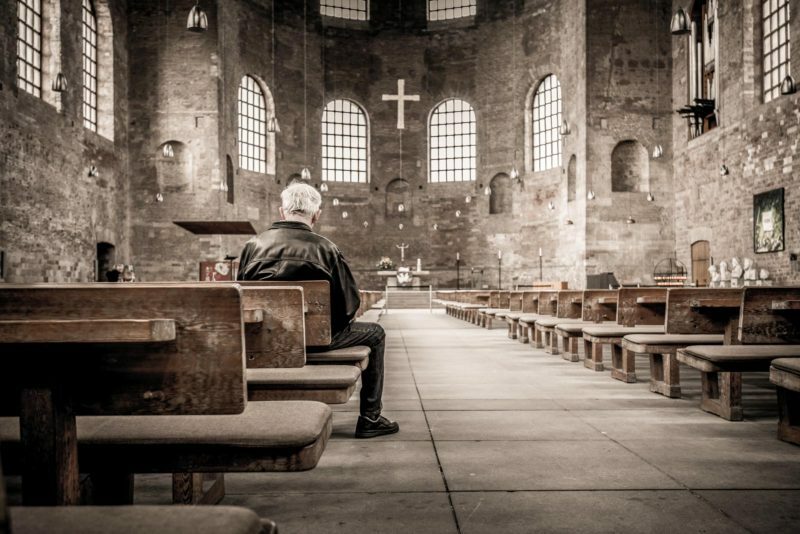 Ministry can be spiritualized in a way that undermines the need for competent clergy. 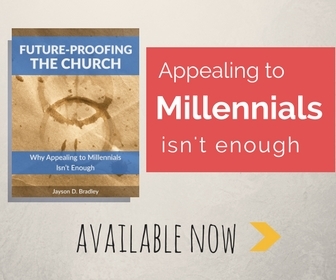 Because God’s at work in his church, it’s easy for ineffectual pastors to appeal to the confounding nature of God’s will to explain why growth or congregational maturity isn’t occurring. Chuches rightly expect competency in the work of ministry. Just as one would expect a shepherd to understand the care and cultivation of sheep, a pastor should be able to carry out ministry-related tasks. They don’t have to be perfect, but they are expected to be actively growing in their abilities. If you ask the average pastor what their congregation expects from them, this will likely be one of their first responses—and they’re right. Churches do look to their ministers to help them understand the Bible’s application to their everyday life. The trap that most pastors fall into is the feeling that they have to measure up to well-known Bible teachers. A pastor isn’t expected to be an world-renowned expositor; they’re simply expected to communicate biblical truths in a way that people can understand and benefit from. No one should expect a pastor to be perfect, but they should be able to trust their pastor’s goodness. They expect their pastor’s personal life to be above reproach, not just because they want a model they can follow, but because the gospel’s truth hangs upon a pastor’s example. Again, this doesn’t mean that a minister never makes a mistake or an infraction. To be blameless or above reproach simply means that there should be no duplicity and unrepentant hidden sins. They should be an example of openness and integrity. So many churches flail around for decades struggling to pluck a specific direction out of a sea of infinite possibilities. A good minister is able to focus congregational energy toward a common objective, even at the expense of other equally worthy potential goals. Pastoral ministry is a leadership position—don’t let anyone tell you differently. As a leader, a pastor should have a vision for his flock. A pastor should be able to tell you where what a church’s goals are and the steps required to get there—and this vision casting should happen regularly. One doesn’t pastor a church by becoming a Moses-type figure who’s separated and above their congregation. A pastor is caring for a community of priests who need to be equipped and released into ministry. Communities of faith want leaders who equip, delegate, and empower them to be leaders, too. So a good pastor isn’t a loner isolated from their flock, but rather, leads and ministers from the middle of the pack. Because most churches want to touch more lives, they desire growth. They don’t want that growth to come from drawing people away from other churches, they sincerely want to grow because lives are being touched by the gospel. This means evangelism is extremely important. But evangelism isn’t enough. Churches want to see maturity happening in the lives of all attendees. They want to understand their church’s process for turning a convert into a committed disciple of Jesus. A pastor should be able to focus on and clearly define a process that ensures maturity is occurring. Pastoral ministry comes with temptations. Having so many people look to you for guidance and understanding is a fairly intoxicating ambrosia, and it can lead clergy to believe they’re a lot more competent or bulletproof than they really are. No minister is without weakness, and a good one knows this. Churches don’t expect their clergy to be perfect, but they do want them to be aware of and able to compensate for their weaknesses. If they can’t do something well, they should delegate it to someone who can. If they’re particularly vulnerable to a specific temptations, they should know how to avoid them. No one really wants an overworked pastor who has no time for a personal life, but they don’t want a lazy, ineffectual pastor either. Lots of churches can tell stories about pastors who pulled sermons of the Internet and coasted through their responsibilities. People want a sense that their pastor has a calling, and the pastor’s driven by their desire to serve God. A congregation wants to look back on a series of goals that were set and met. They want a minister who is energizing the church to move forward. Does this list feel overwhelming or unobtainable? Are there items you’d add or remove? Leave me a comment and let me know! What Is Baptism and Why Do We Do It? Should the world expectation and The Lord’s expectation of me as a Minister be the same? This has been really helpful. This is my first time of pastoring a regular congregation and my fears of failure are great but from this teaching I know I have an even greater chance of success.